We value values. 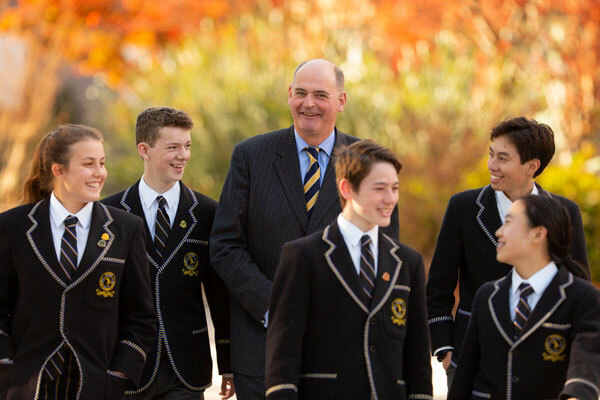 A Carey education means more than just a score on a piece of paper at the end of Year 12, enjoyment of some of the best facilities in Australia, exposure to committed and highly competent staff or access to a professional network long after leaving the school gates at the end of Year 12. Often younger generations are blamed for the decline of societal values. We might not return to the days of strong church congregations, active community groups, cohesive neighbourhood communities, the pre-television and internet days of family sing-alongs around the piano, low divorce rates and universal strong family values and discipline, but we can do our best to encourage important core personal values such as generosity, courtesy and empathy. Schools have an enormous responsibility to shape values. Young people need respect, encouragement and appreciation to reinforce that values and standards must be upheld. They also need to be encouraged to ask the hard questions and to have hard questions asked of them. Schools and school leaders need courage. Expecting routine, discipline and high standards is not always easy, especially when such norms that we might take for granted at schools like Carey are not always practiced in all homes. To do everything that is asked of schools is getting harder. All schools need quality teachers and sufficient funds to allow excellent teachers to do excellent things. I am pleased to report that almost all Carey staff and students do the right thing all the time. However, our school focusses on our people, and people are not perfect and mistakes will be made, especially during those teenage years. In most cases the student will reflect, self-correct and grow. In more serious situations where the welfare and safety of others is comprised, we work with each student and their parents to promote development and understanding. Our aim is for the student to accept responsibility for the behaviour, appreciate the consequences and realise that for any society, organisation or school to function successfully, the rules, values and standards must be consistently applied. Sometimes this will not be easy for the student, parent or the school, but it is at such times that the School’s values must be upheld and tremendous growth can occur. The most important thing this school does is to help our students form and display strong values. We can have some of the best facilities of any school in Australia, but they will be worthless unless what we do inside them is to promote, role model and teach strong and ethical values. What point are excellent academic results or high ATAR if there is an absence amongst those students of strong and ethical values? You could win plenty of APS Premierships, score the winning goal, write and play beautiful music, be the lead in a play, win the cross country, be the most articulate debater or raise the most money for charity, but all these achievements are shallow without showing strong and ethical values. You might find great success in your career and personal life, but would this success make you happy if you knew your values were not strong or you compromised your values to get to where you are? Whilst schools are frequently blamed for societal problems and an absence of values, schools are also looked towards to provide hope, stability and integrity. By educating the younger generation, bits will rub off on the older generation. For this reason my colleagues and I have the privilege to work with our young people in a safe, happy and respectful environment filled with opportunities and to watch them grow and develop into responsible, engaged and amazing young adults.